Hauling can be a great way to earn ISK doing profitable trade runs. By reading this guide, you will learn how to create the quickest, most efficient hauler. This guide can be considered a current, text version of the Alt Hauling 101 audio class. Since the Crius patch, no training is needed to fit a pilot's racial Industrial with Cargohold Expander IIs and Medium Cargohold Optimization I rigs. Here is a table of suggested haulers for all types of cargo, showing their cargo capacity in m3 with no additional training. All low slots should be filled with Expanded Cargohold IIs, and then with and Medium Cargohold Optimization I rigs (these modules increase a ship's cargo capacity). The industrial rebalance Odyssey 1.1 patch (Ody-1.1) gave the Bestower the highest potential cargo, the Mammoth, the fastest travel time, the Tayra a launcher and highest base cargohold and made the Iteron Mark V average all-around due to the conversion of the Iteron Mark 2/3/4 into specialized ships for minerals, planetary commodities and ore. The Bestower is the top hauler for general cargo. The Bestower carries less specific cargo than the modified haulers with special bays for ore, etc like the Kryos and Miasmos. The Bestower is also a good choice if you want to use the tech 1 industrial with the highest possible general cargo capacity in the game. Hauling safely is still a concern with all haulers. The 4 general purpose, large capacity haulers can only fit three meta 4 Medium shield extenders and end up with around 6,000 ehp +/- depending on the race. One recommendation is to only carry 3 to 5 million isk in value per 1,000 of ehp. 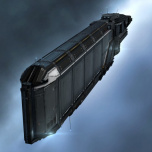 Another recommendation is the 50 million isk maximum collateral for T1 industrial haulers used by eve hauling company MicroPush. If you carry too much cargo value often enough, you will lose your ship. It is important to read about Hauling as it will save you a lot of time and frustrations. Before you even create a character, there are many things to consider: The race of your character, whether you have other characters in the account and if you want to do a neural remap. Following the Odyssey expansion, the choice of Race, bloodline and ancestry has no effect on the training time. 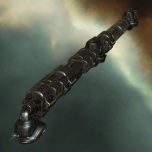 Racial Frigate III is no longer a requirement for Racial Industrial I. A character of any race can train to Amarr Industrial III and get a Bestower. Then proceed to training Spaceship Command I-V and Advanced Spaceship Command I-V to get an Amarr Freighter. Or with less than 18 hours of additional training that character can then train into another racial freighter. If you are creating an alt on an account with other characters, it is important to note that only one character can be training skills at a time unless you are willing to pay for Multiple Character Training. Attempting to add skills to the training queue will result in an error, so you will need to pause training on your currently training character. You can decrease the training time required by remapping your attributes. You get 3 remaps total in your first year, so you can afford to remap Int (27)/Mem (21) and train any core skills you need followed by a remap to Per (27)/Will (21) to train the spaceship command skills to fly your ship. Information The Bestower has for decades been used by the Empire as a slave transport, shipping human labor between cultivated planets in Imperial space. As a proof to how reliable this class has been through the years, the Emperor himself has used an upgraded version of this very same class as transports for the Imperial Treasury. The Bestower has very thick armor and large cargo space. Information The Mammoth is the biggest and the strongest industrial ship of the Minmatar Republic. It was designed with aid from the Gallente Federation, making the Mammoth both large and powerful yet also nimble and technologically advanced. A very good buy. The Mammoth is the Minmatar version and with Odyssey 1.1, it has the fastest travel time of the 4 industrials. 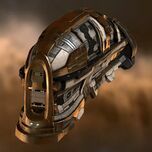 Information The Iteron-class cargo tugger is fast and reliable and there are many versions of it. It is equally popular among civilians and militaries alike as it's cheap and can be fitted in myriad different ways, allowing it to be used to freight almost anything. It is, however, quite vulnerable and needs to be protected while in unfriendly territories. As of Ody-1.1 the Iteron Mark V has the 2nd largest cargohold of all industrials and was rebalanced to be "Average" to balance for the new specialized Gallente haulers, Kryos, Epithal and Miasmos. 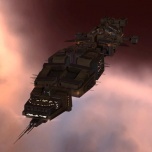 Since the June 2013 Odyssey expansion, it can now be flown immediately having only to train Gallente Industrial I. With hull upgrades II and rigging skills, it can easily carry a full jetcan for mining operations, even with only 2 medium cargohold optimization rigs, but a Miasmos might be a better choice for hauling ore since it's ore bay is larger and requires no cargo optimization rigs. Information The Tayra is the latest version of the famous Badger, it's mostly used by the military or the mega corps for transports of goods of great value. The Tayra has stronger defenses and more high-tech equipment, making it one of the best freight carriers available. The Tayra was formerly known as the Badger Mark II and was somewhat overlooked out of all of the racial haulers due to pre-odyssey training times and lower capacity than the Bestower and Iteron Mark V. After the Odyssey expansion, it is now possible to fly a Tayra with only Caldari Industrial I. Tayra is the only one of the 4 that has a launcher hardpoint. Tayra has the largest base cargohold of the 4, while the Bestower has the highest potential cargohold with cargohold expanders. Haulers are relatively straightforward to fit. For ore hauling, you will want to have maximum cargo capacity, meaning you want to fit Expanded Cargoholds in low slots and Cargohold Optimization in rigs. For courier missions, you might want to have faster align and warp speed, so you might want to fit Nanofiber Internal Structures and Inertia Stabilizers in low slots and Hyperspatial Velocity Optimizer in rigs. If you wish, you can train skills to equip shield mods such as Shield Extenders and Invulnerability Fields in the mid slots to tank belt rats for a short time. It is also worth while to train skills for these modules to give some basic protection against high-sec ganking. There are items called Giant Secure Containers (GSC) which take up 3,000 m3 in your cargo hold. The interesting thing is that you can actually put 3,900 m3 of stuff in a GSC - which means you get a 30% space bonus. Note : Giant Secure Cans are great but with a minor limitation, they cannot store some goods like frozen food, livestock. So keep this in mind if you are using these containers to haul goods. The next step after mastering industrial hauling are Freighters and Transports. This section will discuss training toward flying these sorts of ships, including how fastest to train toward them. You can use outside databases, such as EVE Trade, to find profitable trade routes. To take the first steps in making ISK with your new hauler, you might consider playing the market or running Level 4 Cargo Missions. Raddick Tseng for suggesting this, and giving some interesting statistics. This page was last modified on 5 February 2019, at 01:52. This page has been accessed 231,463 times.